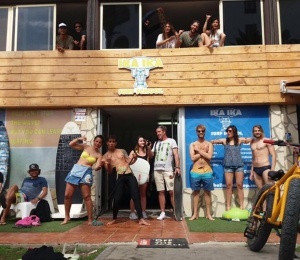 Our Surfhouse is located in very calm area with spectacular view to the ocean and other island La Gomera, where You can spend a good time with other guests, but still it's walking distance to the main touristic centre Playa de Las Americas, where You can find different beaches, restaurants, bars, discos and actually have party any day of the week. Playa de Las Americas is the main touristic destination in Tenerife which receives tourists all year round. It has loads of activities options starting from beach rest, surfing, boat trips, waterparks, jetski, Stand Up Paddling, diving etc. You choose what kind of vacation You would like – active and sporty, or relaxing. Tenerife is the biggest island of Canary Islands. The island is very beautiful and worth to see – South part, where we are located, get comfortable temperatures all year round (summer till 30 degrees, winter 20–25 degrees). Water temperature doesn't drop lower than 18 degrees. North part is more green and perfect for trekking and excursions. In the middle of the island is the highest point of Spain - volcano Teide. After surfing You can enjoy spectacular views joining us for excursion to pirate town Masca, volcano Teide, woods Anaga, cliffs Los Gigantes, the oldest tree Drago, natural pools, cliff jumping, calm fisherman towns, where You can enjoy fresh, cheap and super tasty seafood, just to name few. 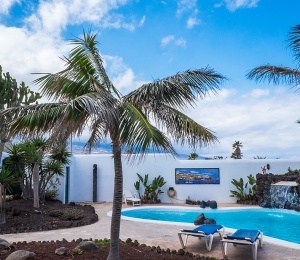 Our Surfhouse is located in very calm area with spectacular view to the ocean and other island La Gomera just from Your room and from our comfy terrace, where You can spend a good time with other guests. 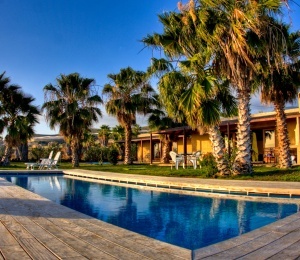 Our surfhouse accommodate not more than 10 people, so it will be comfy and not crowded. You can share a room with other 2 guests with shared or private bathroom, or choose private room only for You. All our rooms have sea view and 2 of them have terrace. 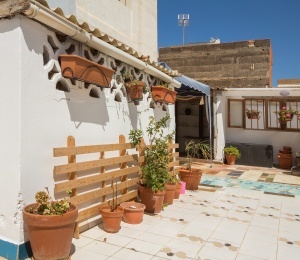 Our surfhouse have fully equipped kitchen, where You can comfortably cook Your daily meals. If You prefer eating in restaurants/cafes, there are many options, the closest 3 minutes walk from our surfhouse. 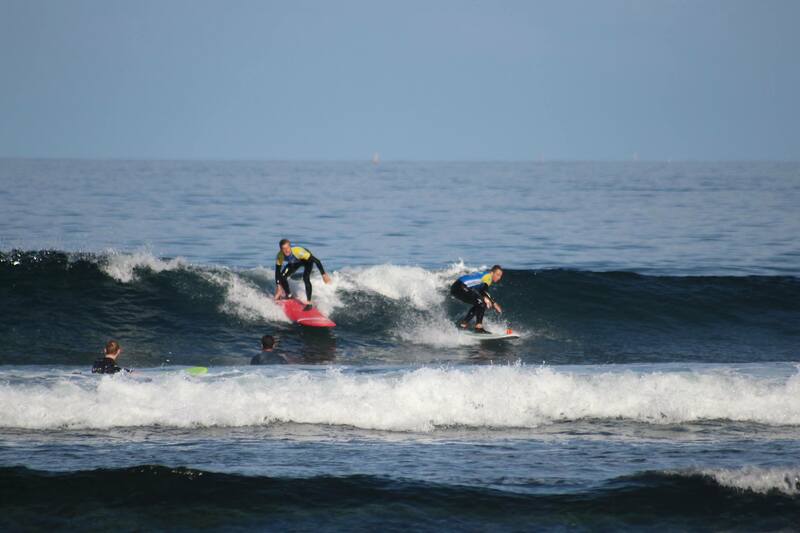 Our main surfing spot is Playa de Las Americas. It's right in front of our surfschool. It's a reef spot, which gets nice waves for beginner and intermediate surfers all year round. Even though it's a reef spot, we get nice and safe surfing in our beginners spot, and just in 1 to 5 minute walking distance (depending which spot You choose) You can get some stronger waves in other spots along the coast. Normally Summer season (May to September) we get smaller SW swell waves, but in the Winter (October to April) it gets stronger with NW swell waves. 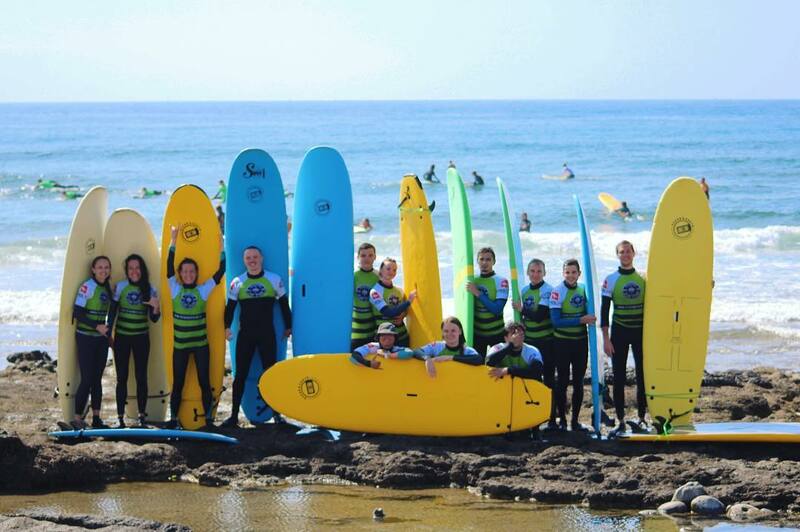 When for some reason (the waves are too big or too small) we can't do the lesson in our homespot Playa de Las Americas, we organise surftrip to closest South beaches (other beach breaks and point breaks). SURFINN © 19-04-2019 06:44:17. ALL RIGHTS RESERVED.